Muse/News: A Peacock party, a garment reborn, and a muse named Cardi B.
Peacock in the Desert: The Royal Arts of Jodhpur, India opens to the public this Thursday! The Seattle Times highlighted the free community opening celebration, which will include live performances, an art market, music, and art making. SAM’s Día de los Muertos Community Night Out on Friday, October 26, is featured as one of “6 free Seattle area events to celebrate” the annual holiday. Seattle Bride Magazine on the “art of love,” highlighting SAM among its recommendations for the best local museums to host a wedding. City Arts’ Margo Vansynghel shares the news that Cornish has awarded its 2018 Neddy Artist Awards to Lakshmi Muirhead (painting) and Timea Tihanyi (open media). Poet Natalie Diaz was awarded a 2018 MacArthur genius grant; The Stranger’s Jasmyne Keimig wrote about her recent reading at Hugo House, which in part touched on the legacy of Edward S. Curtis. Tamiko Nimura for Crosscut on Tacoma artist Anida Yoeu Ali, whose sequined “Red Chador” that appeared across the world was recently lost. The artist is mourning the garment as a death—and planning its rebirth. Hyperallergic’s Zachary Small on the Met’s announcement of next year’s gala exhibition: Camp: Notes on Fashion, a “complete 180-degree turn toward sacrilegious” following last year’s Catholic-themed Heavenly Bodies. The Studio Museum and the Duke Ellington School of the Arts have announced the gift of over 650 works of art from the collection of Peggy Cooper Cafritz, including works by Kerry James Marshall, Theaster Gates, and Nick Cave. Went from makin’ tuna sandwiches to Mickalene’s muse. Image: Shiva and Parvati in Conversation; Shiva on His Vimana (Aircraft) with Himalaya, Folio 53 from the Shiva Rahasya, 1827, Jodhpur, opaque watercolor and gold on paper, 16 1/2 × 45 5/8 in., Mehrangarh Museum Trust, photo: Neil Greentree. In this special edition of Object of the Week, the three Empathics who have taken up residence at SAM in the installation Lessons from the Institute of Empathy share their thoughts on Nick Cave’s Soundsuit. The Empathics are part of ChimaTEK: Virtual Chimeric Space by contemporary artist Saya Woolfalk. They have surrounded themselves with works from our African art collection and are asking questions and sharing information about the art as a way to help visitors awaken their own empathy. Nick Cave’s suits mix anatomical features in a perplexing way. Are they human or not? This question is being asked in science as human and nonhuman species can be merged to create new forms of life, known as chimeras. Does this combination show disrespect for human dignity or is it a step toward progress? The Empathics wonder what the potential of crossing species might be. Images: Soundsuit, 2006, Nick Cave, fabricated fencing mask, human hair, sweaters, beads, and metal wire, approx. 6 feet tall, on mannequin, Gift of the Vascovitz Family in honor of the 75th Anniversary of the Seattle Art Museum, 2007.70 © Nick Cave. Installation view of Lessons from the Institute of Empathy at Seattle Art Museum, 2018, photos: Natali Wiseman. 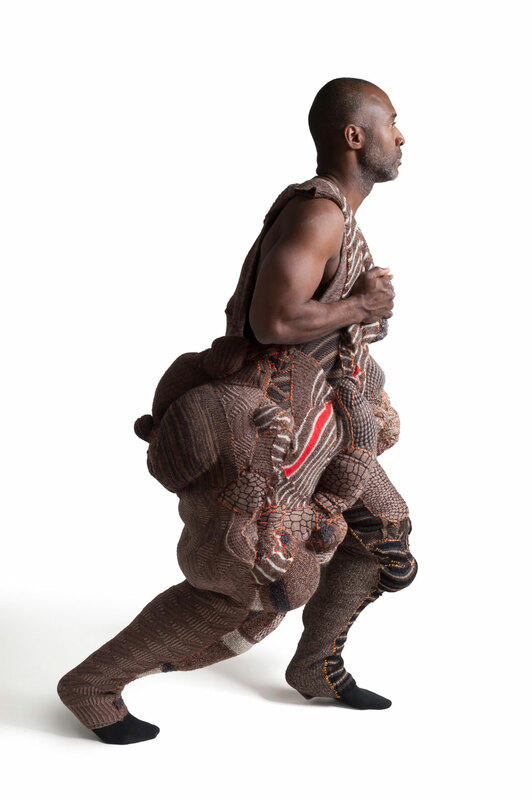 The Seattle Art Museum’s current exhibition, Disguise, examines 21st-century evolutions of the African mask and explores contemporary forms of disguise. For this latest book installation from the Dorothy Stimson Bullitt Library, we drew upon unique works in our Special Collections related to masks. They run the gamut between the restraint of an early 20th-century collection catalogue and the intensity of an early 21st-century work that delights the senses. Portier, André and François Poncetton. Les Arts Sauvages: Afrique. Paris: Editions Albert Morancé, 1956. SPCOL OSZ NB 1080 P6. Les Arts Sauvages: Afrique is a large folio edition that focuses its attention on the form of each mask, leaving context to our imagination. It was first published in Paris in 1927, and is authored by the French academics, André Portier (French, 1886–1969) and François Poncetton (French, 1875 or 1877–1950). It includes fifty loose-leaf collotype photographic plates printed in sepia, some overprinted with color. An elaborate, beautifully produced collection catalogue, this work displays the collections of important artists, critics, and writers of the French Surrealist and Dada movements. Two examples of the overprinted color plates are on currently on view: Masque Pongwé (Gabon), from the collection of Stéphen-Charles Chauvet, (French, 1885-1950), known for his authorship of the first illustrated compendium on Easter Island; and Masque Man (Côte d’Ivoire), from the collection of Paul Éluard, (French, 1895-1952), the French surrealist poet. From Cave, Nick. Soundsuits Boxfolio. Chicago: Soundsuit Shop, 2006. SPCOL N 6537 C447 S68 2009. 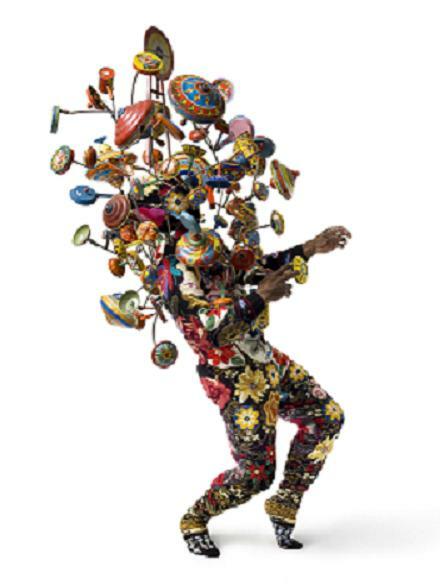 Unlike the quiet, reflective nature of Les Arts Sauvages: Afrique, this artist’s book by Nick Cave (American, 1961–) has movement, makes noise, and shows us masks represented in a totally different way from that of more traditional books. 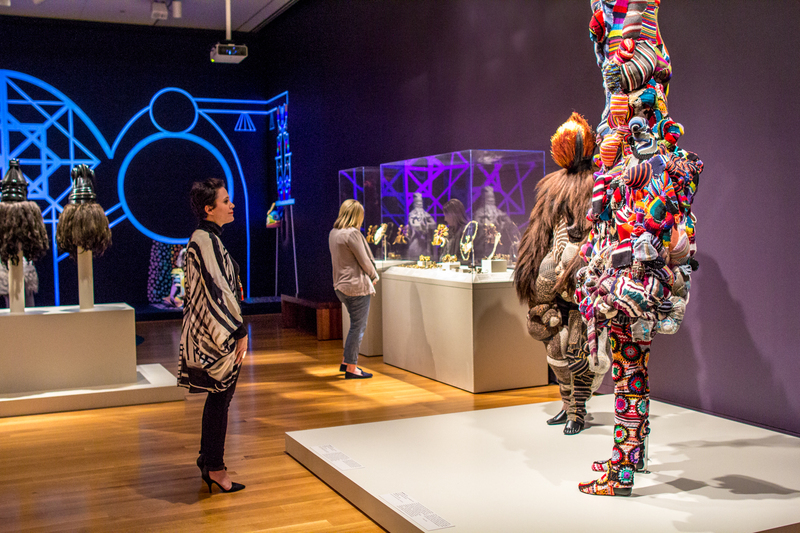 Two of Nick Cave’s Soundsuits are on view in the exhibition, Disguise: Masks and Global African Art, which runs through September 7, 2015. 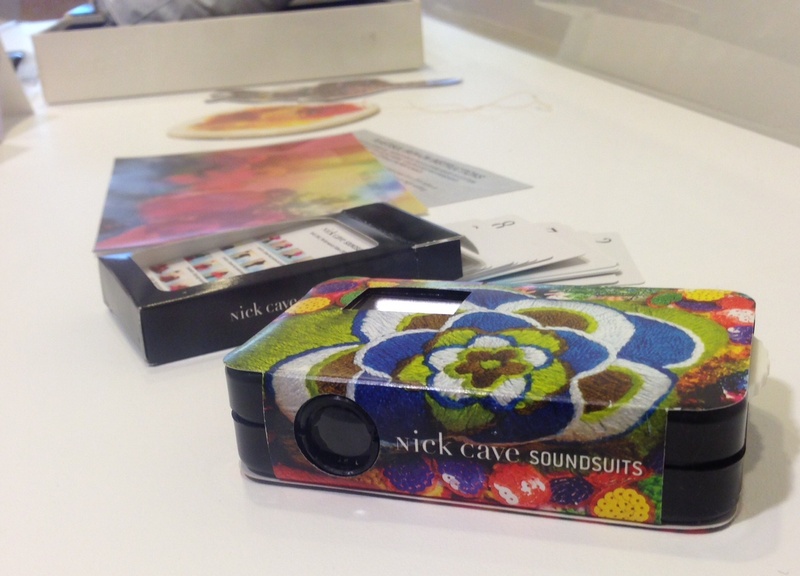 How would you describe this Nick Cave Soundsuit in 140 characters or less? Tweet your response to @iheartsam with the hashtag #SAMRemix, and you could win two tickets to the June 3 Remix and the opportunity to guest tweet for SAM at the event. The deadline for entries is 5 pm on Thursday, June 2. The man was in a hurry. He had his cell phone pressed to his ear and appeared to be having a very serious conversation. As he listened intently to the other person on the line, he opened the door to exit the office building. The man came to an abrupt stop and blinked in amazement. Then a huge smile spread across his face. On Wednesday, May 18, we will participate in International Museum Day, an incredible world-wide day of free admission to museums sponsored by the International Council of Museums. This day is an occasion to raise awareness on how important museums are in the development of society. From America to Oceania; including Africa, Europe and Asia; this international event has grown in popularity. In recent years, International Museum Day has experienced its highest involvement with almost 30,000 museums participating in more than 100 countries. Admission will be free all day Wednesday at the Seattle Art Museum and the Seattle Asian Art Museum. Both museums will be open from 10 am – 5pm. This is a great opportunity to see Nick Cave: Meet Me at the Center of the Earth or Modern Elegance: The Art of Meiji Japan. Click here for more visitor information, including directions and parking details. 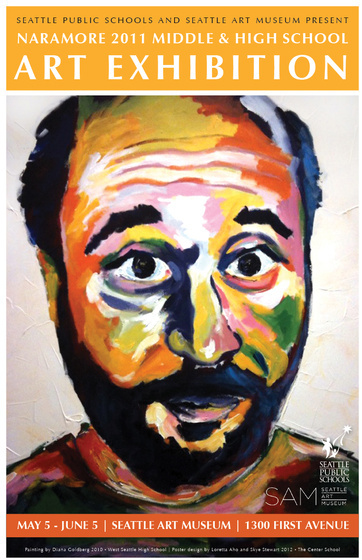 Check out an epic ART ATTACK: Teen Night Out! Enjoy live music and tours led by our Teen Advisory Group and local artists in the galleries. This event is FREE for all high school-aged students. Please bring state or high school ID. DJ Hollywood from KUBE heats up the turntables all night long. Garfield Drumline kicks off Teen Night Out at Hammering Man (6:30 pm) and South Hall (7 pm). Vicious Puppies performs two breakdancing sets in South Hall (7:45 pm) and the Forum (9 pm)! Spectrum Dance Academy gives Soundsuit performances in South Hall (8 pm) and the Forum (9 pm)! Tubas, Soundsuits, Steel Drums and More! March to the Center of the Earth: Community Night Out is going to be a fantastic evening of live music, dance, education and art making. Plus there will be a special Soundsuit performance by Spectrum Dance Theatre. All of these activities are free and open to all ages!